Enjoy a special hot air balloon ride experience in Friuli Venezia Giulia floating over the hills of the wine country while enjoying the splendor of the sunrise. You will travel through valleys while the earth quietly awakes from its slumber below. an unforgettable hot air balloon ride experience. 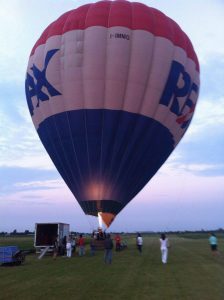 Book now your sunrise balloon flight right here! Then book now our special offer for the partecipants at the hot air balloon ride experience!